Okay, I'm a little confused. Does anyone else see a problem here? 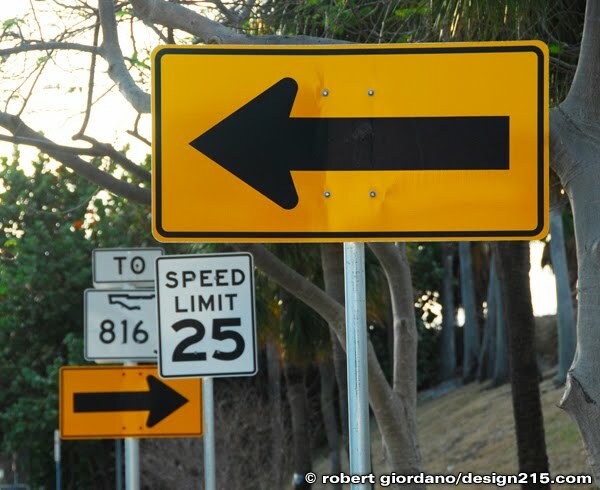 This mishmash of signage is on Oakland Park Blvd. in Fort Lauderdale, by the Intracoastal bascule bridge. 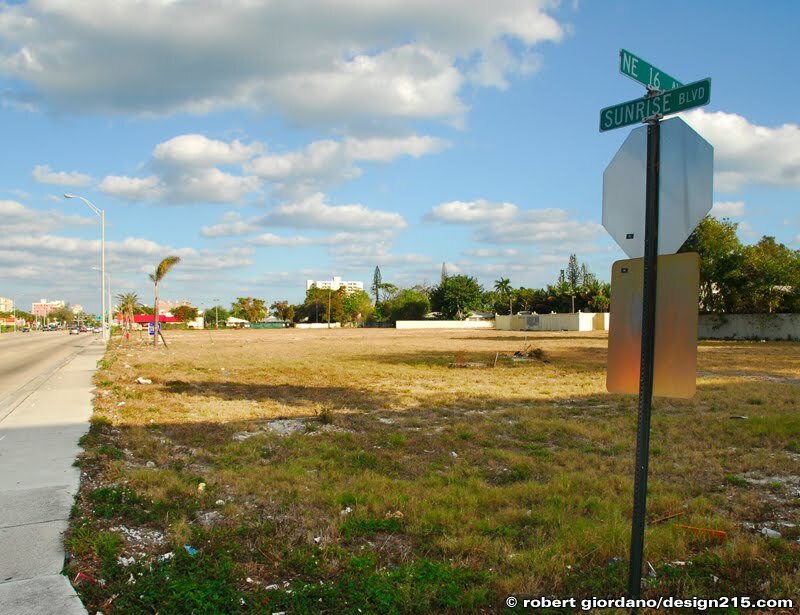 For your viewing pleasure, I photographed this large section of vacant land on East Sunrise Blvd. in Fort Lauderdale, FL. There used to be a number of stores and shops on this land. There were two car dealers, a clothing store, and a couple of fast food chain restaurants. Now there is nothing. Sign of the times? Perhaps. I left my house this morning... alright, so it was 2 in the afternoon... that's morning to me, ok? 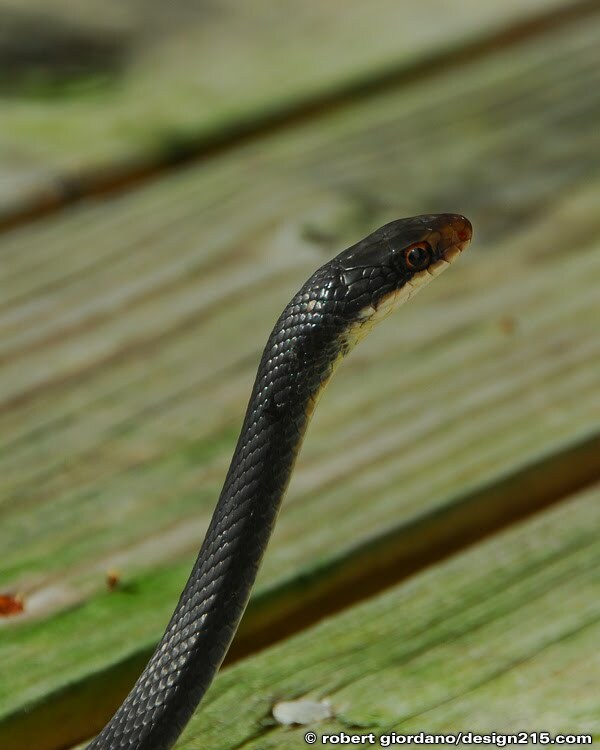 Anyway, there was this snake right outside my door. I bent down to take a picture. At the same time, she raised herself up to get a better look at me or something. Did she want a Valentine's Day kiss? I have no idea. I left to get some lunch. If anyone knows what kind of snake this is, please let me know. I visited the Apple store in the mall today and I couldn't resist leaving my mark. I keep a little USB drive on my keychain, loaded with all kinds of fun little goodies. 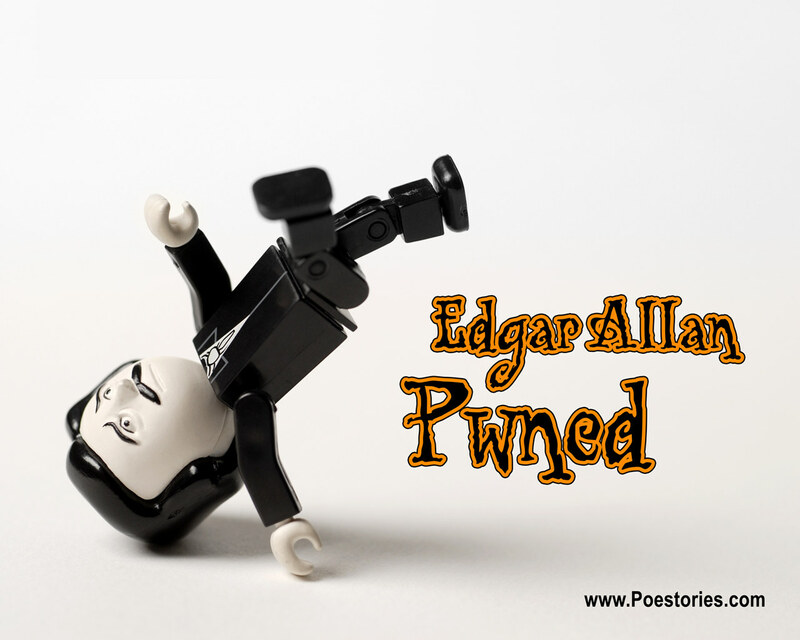 By the way, if you haven't already been there, you should visit the world's most popular site about Edgar Allan Poe, Poestories.com. 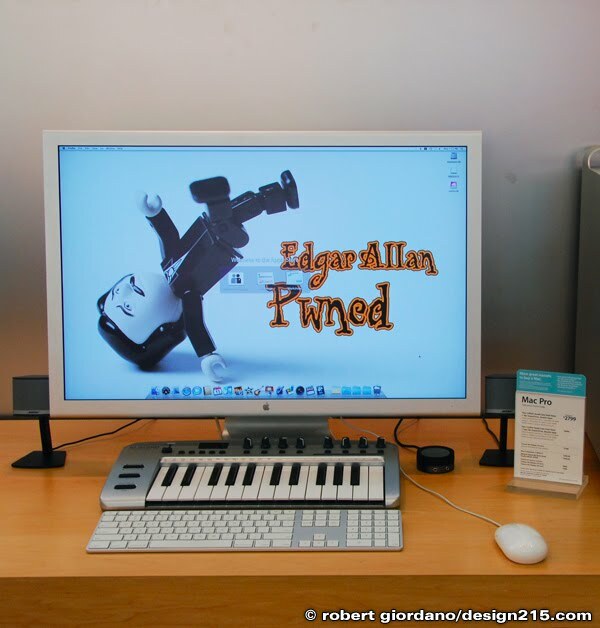 If you want to download my Edgar Allan Pwned photo for your own computer (or others') you can download it here. I started another time lapse project today. 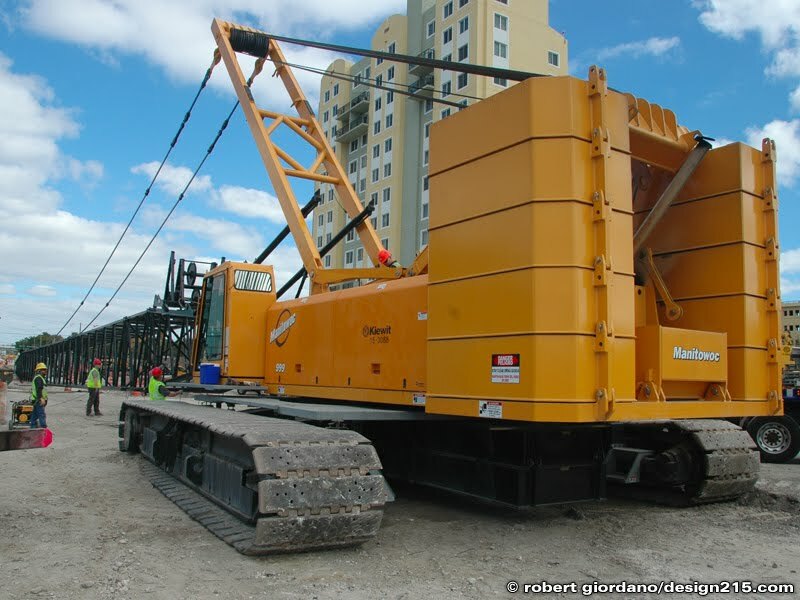 My job was to document the disassembly of a Manitowoc 999 Crawler Crane for Kiewit Southern in Miami, Florida. The gigantic crane had to be taken apart and shipped to another Kiewit job site. This time lapse project was challenging for several reasons. First, I wanted to shoot enough frames to produce a film that played back at 24 frames per second. The original footage is 1920 x 1080 and so I ended up having to swap 8GB memory cards while the camera was running. The second thing that made this time lapse film more difficult was the shifting center of the action. I had to change the camera location several times and do a few pans and zooms while keeping the timeline visually seamless. I have to say its one of my best films to date. Kiewit crane time lapse by Robert Giordano on Vimeo. 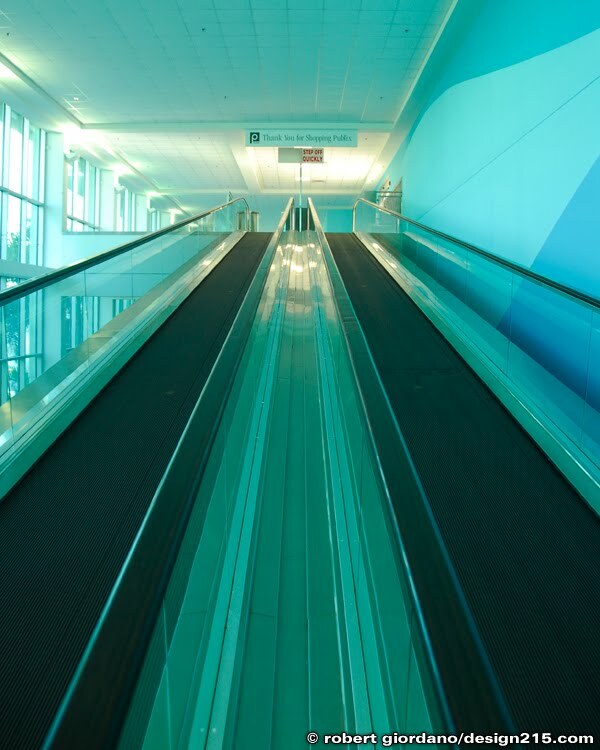 Here's the escalator in the Publix Super Market on S Andrews Ave. in Fort Lauderdale. The actual grocery store in on the second floor so you have to take an escalator up when you enter and back down when you leave. But what about your shopping cart full of groceries? Well, they seemed to have solved that problem, although its a bit of a weird ride. By the way, look closely and you'll see a sign at the top that says, "STEP OFF QUICKLY"